I've already written about the 1924 World Series, thanks to the 1951 Packard Sports Library series of car dealership sports magazines. 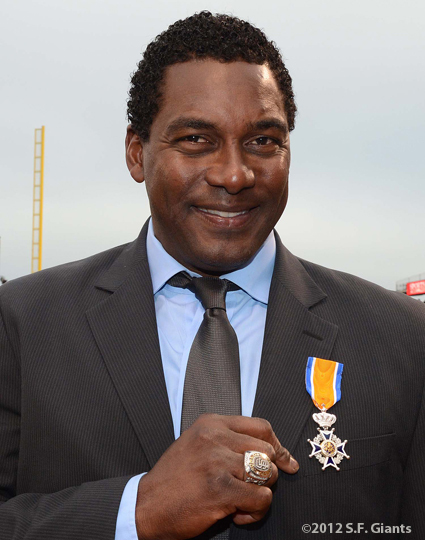 Reportedly a candidate for "best-ever" Series, it's one of a handful to end in game seven's extra innings, as Muddy Ruel scored the winning run on a bad-hop single in the bottom of the 12th. 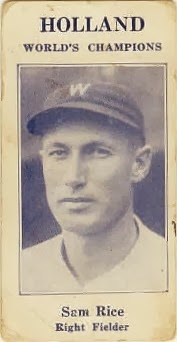 For HOFers Sam Rice and Walter Johnson (and many of their Washington Senators teammates), it'd be their only year as "World's Champions." Beyond the Series and players, what do we know about the card set? 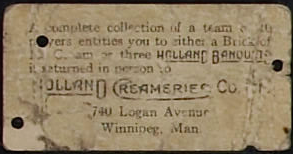 First off, "Holland" is Holland Creameries, a Winnipeg-based milk and ice cream distributor. Their small set, similar in size and design to 1920s candy issues, is that entity's most enduring creation and its PSA collection registry comes in at the top of their Google results. It's hard to imagine any other way you'd discover that kind of defunct corporation, unless you're a fan of Canadian ice storage journals. 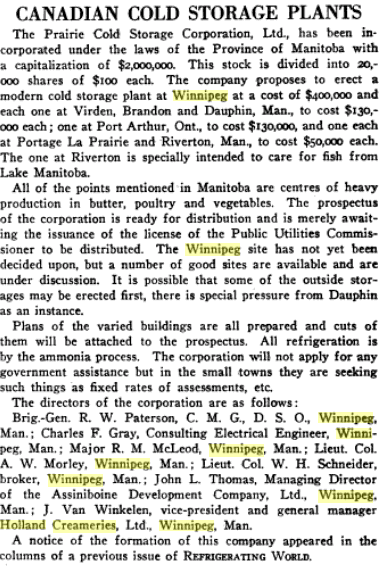 If you did want to find the company, the earliest mention I came across refers to Holland Creameries executives exploring expansion into new facilities in and around Winnipeg. Prospective expansion gives an air of corporate health, but by mid-1928, fellow dairy Canada Pure Milk took over Holland's in-city deliveries, probably as a new owner of its assets and customers. Thanks to Google, I even found their transition notice in local papers. Prior to its demise, I imagine kids obtained cards from Holland delivery drivers or stores that carried their products. On-card promotions invited local collectors to redeem all 18 for a selection of ice creams, but Holland limited giveaways by short-printing #16, Roger Pickinpaugh, and stamping all redeemed cards to prevent "re-use." This #5 shows no redemption marks, so never made it to the factory. That a Manitoba dairy saw money to be made from an American team says a lot about the reach of pro baseball in those days, but it wasn't their only dalliance with sports promotions. Earlier in the 1920s, Holland first printed what you'd expect of a Canadian company, a collection of hockey stars. 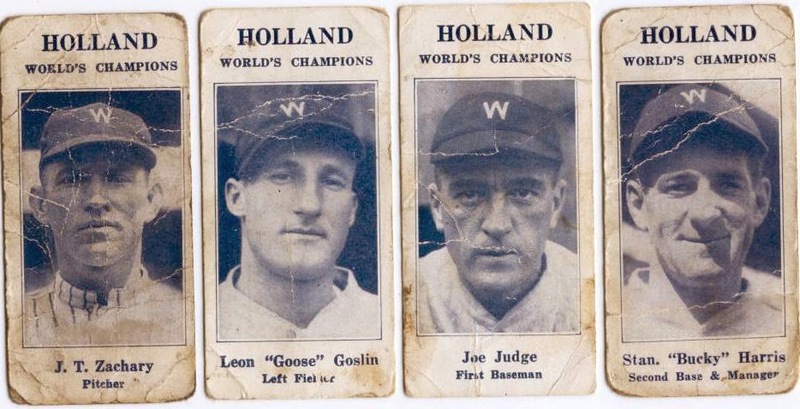 Based on the careers of its 10-player checklist, Holland distributed this set in or after 1920, as pictured players had Winnipeg connections beginning at that time. 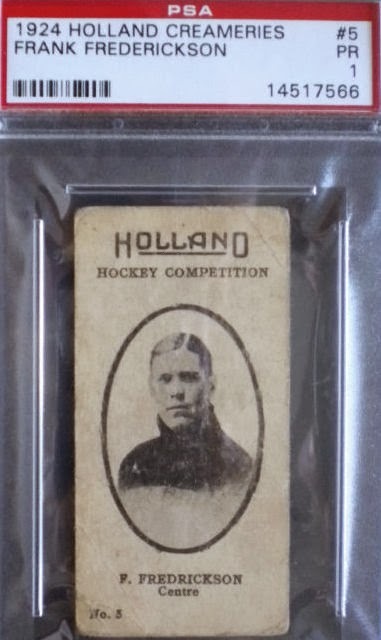 Most catalogs and grading companies date Holland's hockey set to 1924. I think sports ephemera was less "seasonal" in those days, so it's entirely possible they started printing cards in 1920 and just didn't stop, even after players like Frank Frederickson left town; he skated for Victoria by 1925, but was likely still remembered by local fans. Here's an apparent full-set redemption, with hole punches as evidence that a kid got their ice cream. 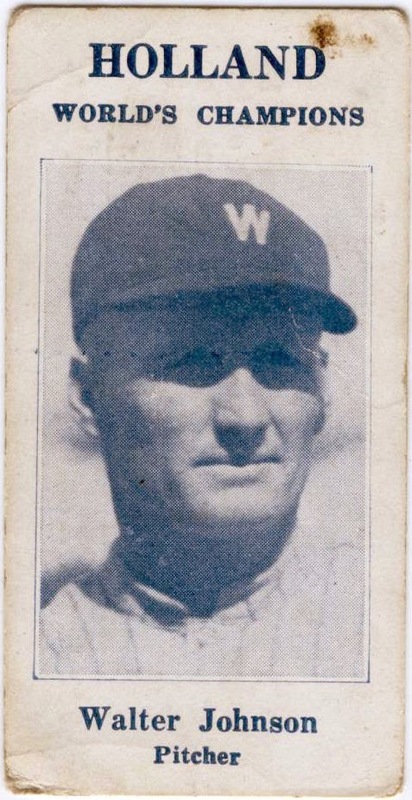 UPDATE: More scans from this rare set, including Walter Johnson and several "utility men." Value: Heritage Auctions listed a 32-card collection of these hockey cards in 2008, but they didn't sell, likely due to a high reserve price. 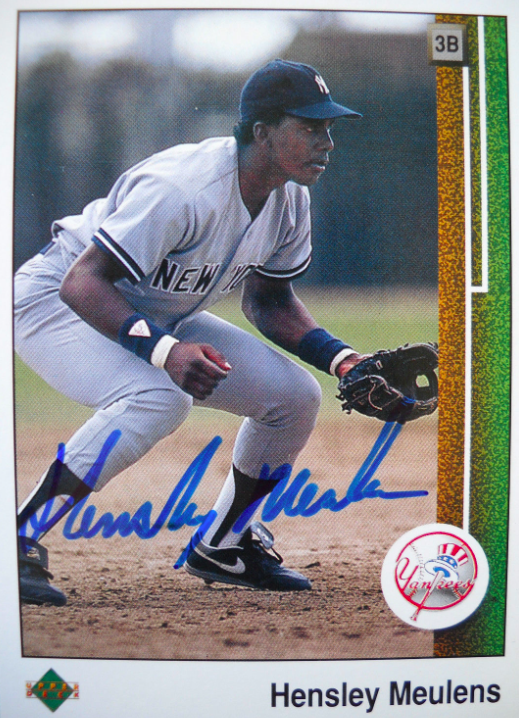 Clean Sweep Auctions offers baseball singles for $400+. Holland Creameries baseball and hockey sets are rare and valuable, so expect to pay $100+ for cards in any condition. Fakes / reprints: I imagine fakes and reprints exist, with the caveat that only advanced collectors are likely to seek out this set, so hopefully wouldn't be taken in by a forgery.